Collins Booksellers - Born Trump: Inside America’s First Family by Emily Jane Fox | Conversation Starters by dailyBooks, 9788828370451. Buy this book online. Donald J. Trump is a billionare businessman who is now America’s incumbent president. According to Vanity Fair writer Emily Jane Fox, to truly know the man who is now the forty-fifth president of the United States, you must know his five children and son-in-law. Their stories provide the keys that unlock the mystery behind the man. 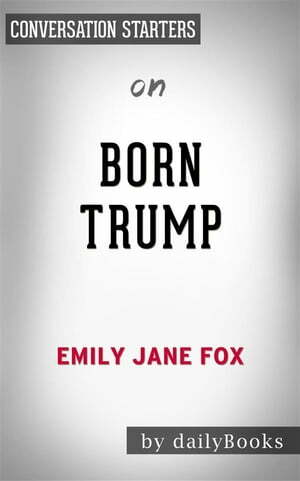 In her book Born Trump, Fox shares the detailed look at Trump’s family, their personal lives, their roles in the current administration and their relationships with each other and with their father. Fox re-examines the deeply-reported events on tabloids and television shows that shed light on the lives of the first family. Born Trump is a book filled with surprising insights, stories about their childhood and other untold stories that escaped the eyes of the public. This new American royalty are not in palaces or towers but in the White House.